Relive the fun and excitement of the TV game show, Concentration. 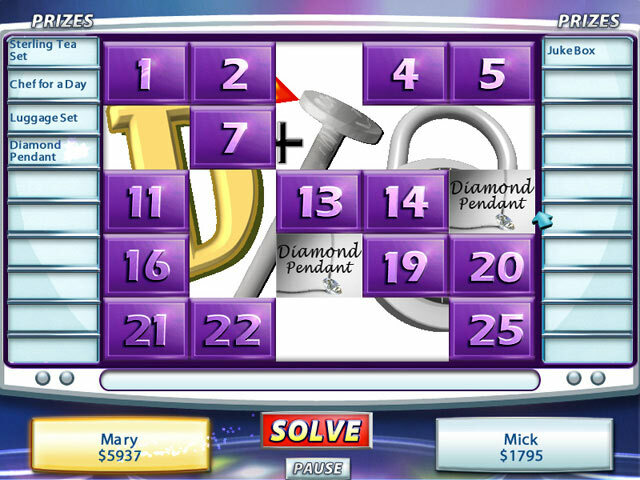 Match prizes and solve the hidden rebus puzzle to win!Test your memory and puzzling skills!Based on the classic TV game show, Concentration( TM ) is two games in one: matching and puzzling. Match the scrambled prizes behind the numbered panels to win. Each combination turns over two panels to reveal a portion of the hidden rebus (picture puzzle). After each match, you earn a chance at solving the puzzle underneath. But watch out! Your opponent is trying to solve it, too. 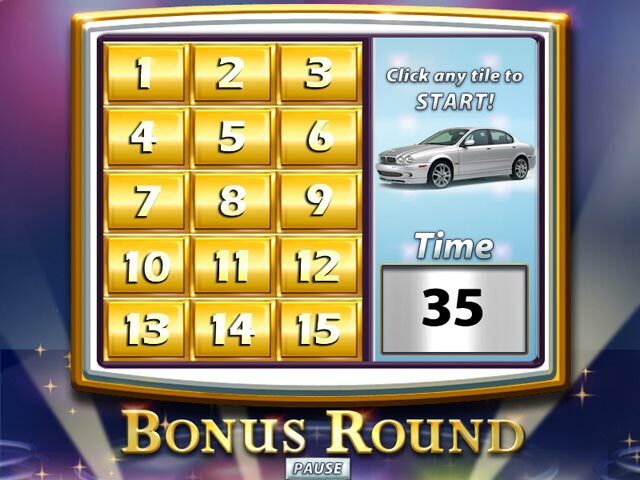 If you guess correctly, you could move on to the bonus round where you have a chance to win a new car!